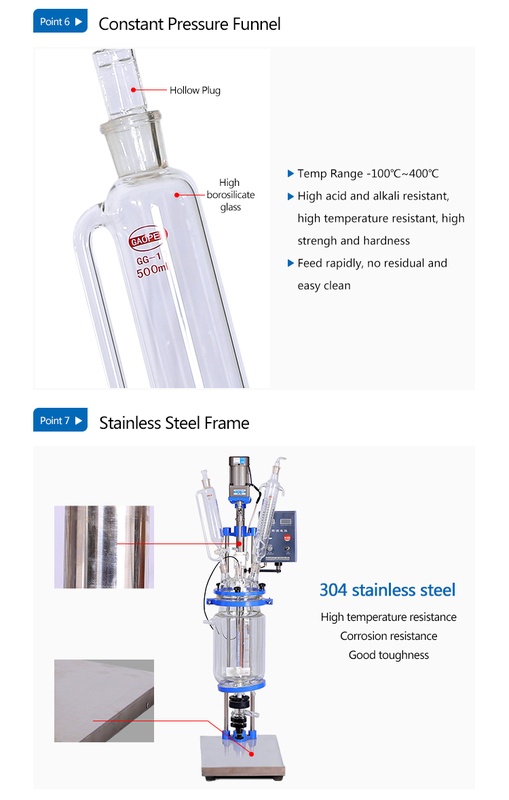 Lab Process Glass Reactor are ideally used for wide applications in laboratory, pilot plant and for small-scale production. 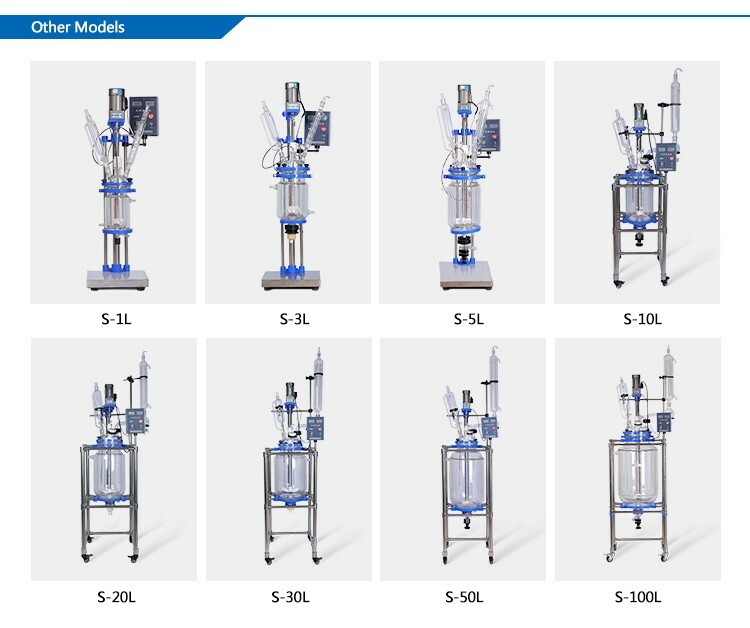 Lab Reflux Distiller Glass Reactor reduce the need for invesments in permanent installations & also reduce the pressure & tempreture losses resulting from pipeline installation.These reactor are available with spherical shape & in cylindrical shape.Vacuum Hydrolysis Glass Reactor are also available in cylindrical jacketed form. Above systems are available with different options, depending upon their size & their utility. Our Technical Department will glad to assist you in finding a suitable solution for your process requirement. 1.Adopting AC frequency to control motor speed, ensuring reactor steady, safe and continuous working. 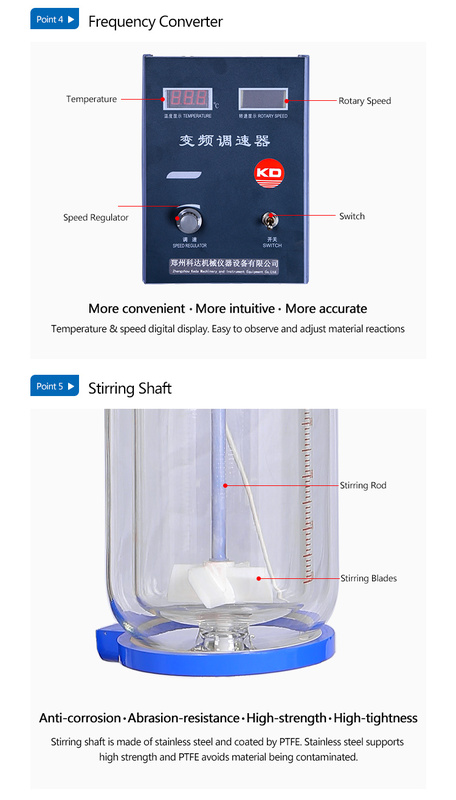 2.All sets of glass apparatus are made up of GG17 or GG33 with good chemical and physical properties. 3.The teflon components sealing method makes it keep high vacuum state, anti-acid and anti-alkali. 4.Working under the ordinary pressure and negative pressure and can reach the -0.098 Mpa at most. 5.The flange mouth and the PTFE drain valve leave no dead space and rudimental material, so it can be easily demounted and the inside reactor can be cleared conveniently. What other application does it have? Good package and shippment on time! 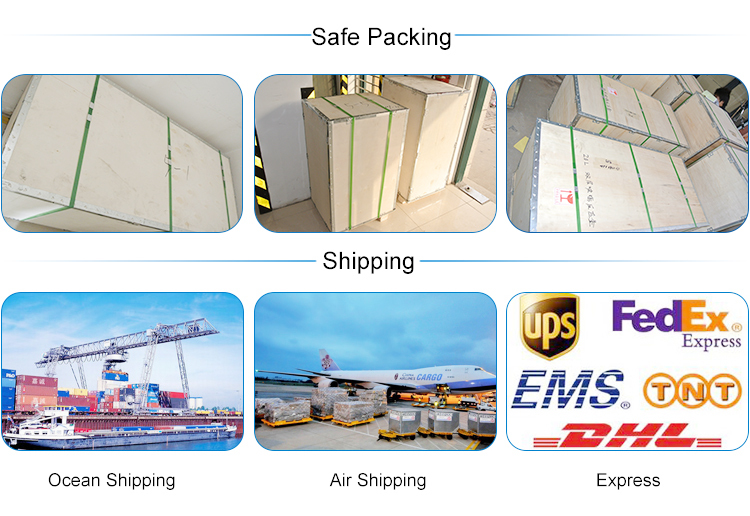 * You can choose all the International Express such as DHL,UPS,TNT,EMS and so on. * You can also choose to use your own shipping agent. 1.What's the minimum order quantity? 2.What kind of payment term do you accept? Normally we accept TT, Paypal, Western Union, Alibaba Escrow, and L/C. The exactly term with be discussed during the deal. 3. When can the goods be delivered? 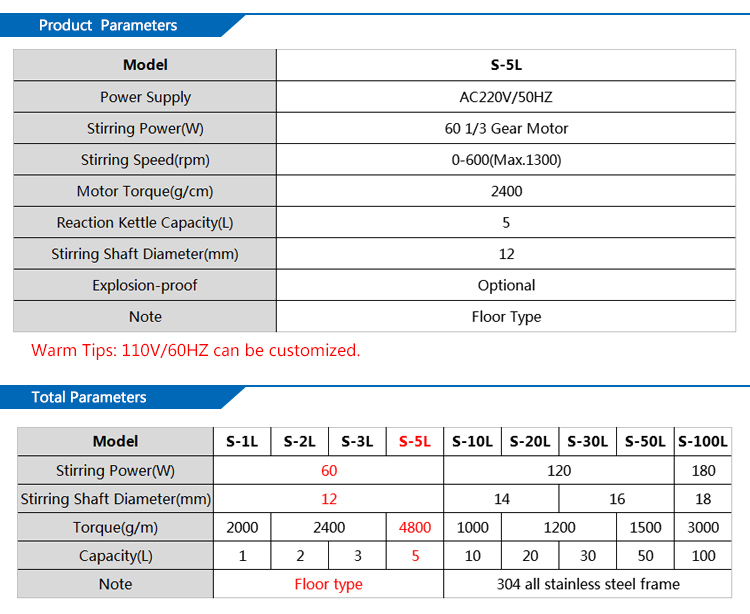 5 How to choose the suitable equipment? 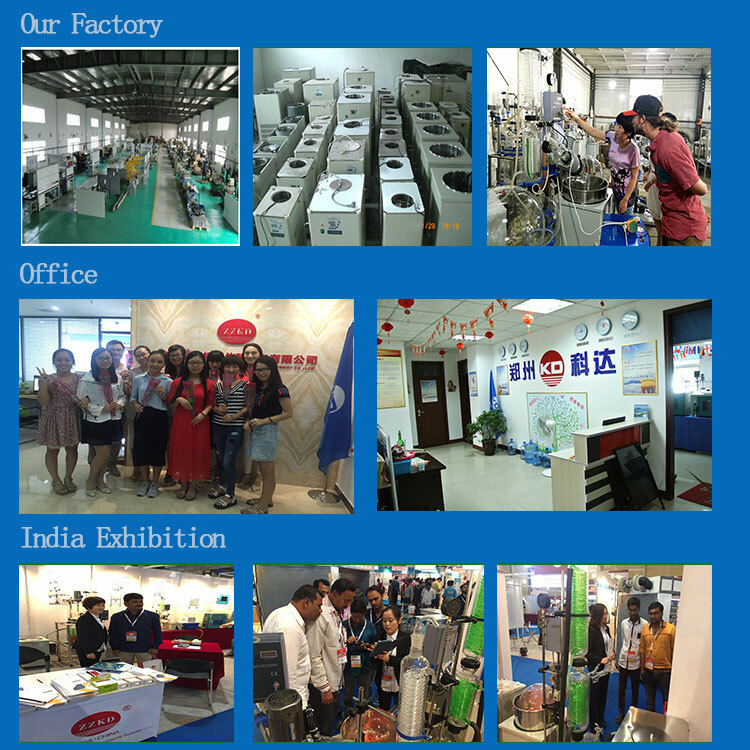 Tell us your requirments, our professional sales will introduce you the most suitable model. 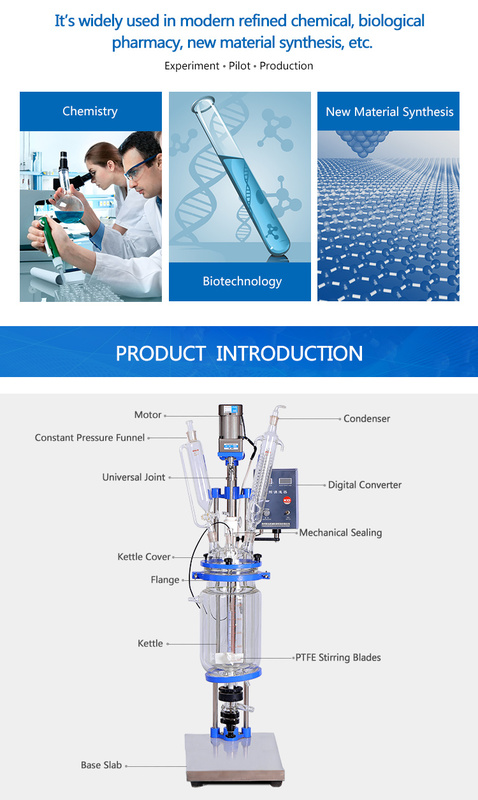 Zhengzhou Keda Machinery and Instrument Equipment Co.,Ltd is a pharmaceutical equipment integrated company, highly specialized in R&D, production, especially Intelligent PID Temperature Controller, Double Layer Chemical Glass Reactor, Single Layer glass reactor,and lab crystallizer equipment. widely used in production of cosmetics, display of university teaching, chemical and biological purification. Company Tanet: Keeping good reputation, Valuing contracts, beniefiting customers from satisfying price and high quality, we always stick to this principle. We have the confidence in providing high quality product that u want. Click " send" now!